The El Dorado Spa Resorts are a collection of classically elegant, unmistakably Mexican, adults-only resorts on some of the best beaches in Riviera Maya, Mexico. These AAA Four Diamond resort boasts a level of service, style and personal attention that has become all too rare in the modern world. You'll be welcomed with a champagne toast. And feel instantly at home, enveloped in a sense of calm, casual luxury. At the heart of every El Dorado resort, there is the Karisma Gourmet Inclusive® Experience. El Dorado Spa Resorts boasts award-winning cuisine in a wide variety of settings. Their chefs and servers have been trained around the world, bringing a level of passion, creativity, sophistication and service that rivals the finest restaurants. Their wine list, crafted in conjunction with renowned Jackson Family Wines, has received Wine Spectator's Award of Excellence. And bartenders in their many bars and lounges pour freely from the top shelf. The most amazing part is it's all included. So there may never be a better opportunity to exercise your taste for adventure. 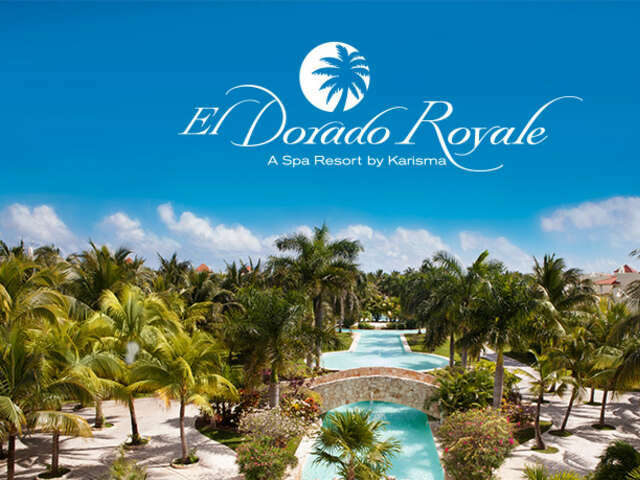 El Dorado Royale, by Karisma, is an adults-only paradise where everything is designed to help you slow down, relax, and savor every moment of your vacation. You'll find world-class restaurants, renowned chefs, personal concierges and bars that pour from the top shelf. We harvest vegetables from our own 76,000 square-foot hydroponic greenhouse. We offer fitness classes, dance lessons and wine tastings. Whether you're coming here to get married, escaping on your honeymoon or celebrating a beautiful life together, El Dorado Royale Resort provides the perfect backdrop for romance. Contact us today to learn more about El Dorado Spa Resorts and let us help plan your perfect vacation!